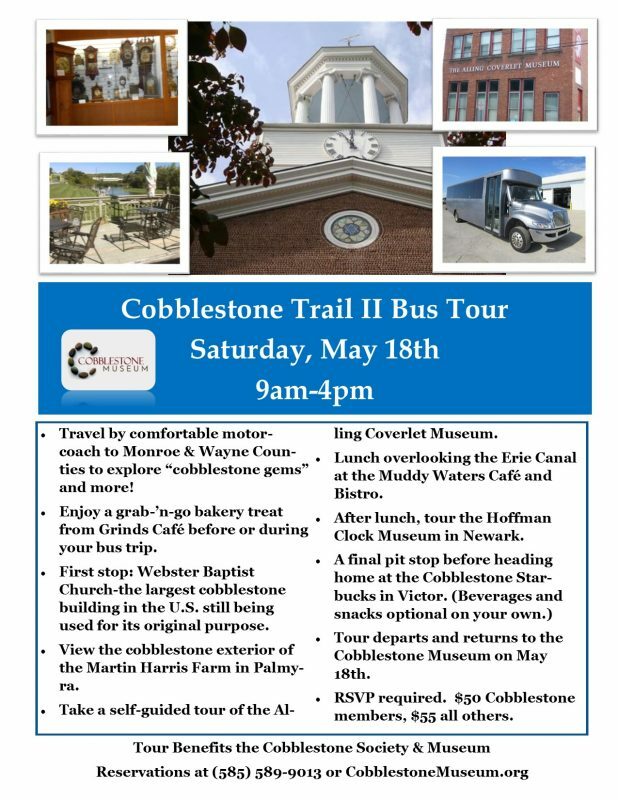 * Travel by comfortable motor-coach to Monroe & Wayne County to explore “cobblestone gems” and more! * Enjoy a grab-’n-go bakery treat from Grinds Café during your bus trip. * First stop: Webster Baptist Church-the largest cobblestone building in the U.S. still being used for its original use. * View the cobblestone exterior of the Martin Harris Farm in Palmyra. 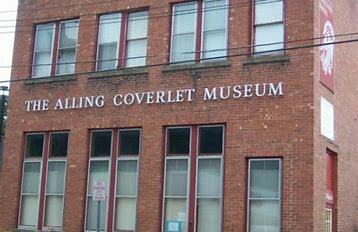 * Take a self-guided tour of the Alling Coverlet Museum. * Lunch overlooking the Erie Canal at the Muddy Waters Café and Bistro. 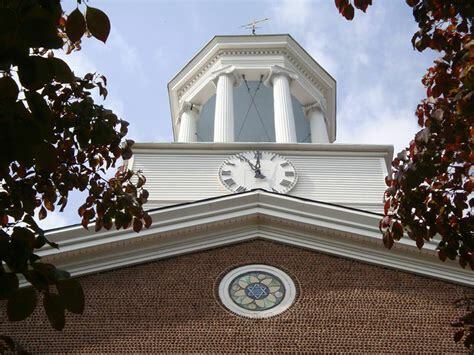 * After lunch, tour the Hoffman Clock Museum in Newark. 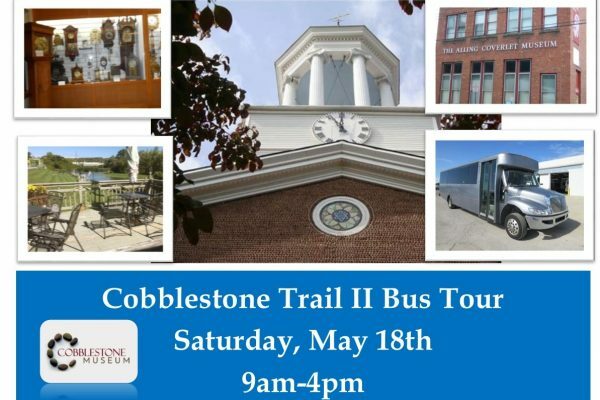 * Tour departs and returns to the Cobblestone Museum on May 18th. * RSVP required. $50 Cobblestone members, $55 all others.